February 26, 2009 - LOVES PARK, Ill. – A former major-league star and current and former Rockford RiverHawks will teach the game to young ballplayers this summer. The RiverHawks announced on Thursday that Road Ranger Stadium will host four youth baseball and softball camps this summer. Among the instructors at the camps will be former major-league slugger George Foster. Pro Player Consultants will hold a camp over two sessions, June 8-10 and 22-24. Pro Player will hold two camps each day – a basic skills camp (ages 7-12) 8:30-11 a.m. and an advanced skills camp (ages 12-14) 11:30 a.m.-1 p.m. Camp instructors are former 10-year veterans of professional baseball and current RiverHawks. One session costs $75; both sessions is $120. The price includes a ticket to a RiverHawks game and a camp T-shirt. Triple Play USA has scheduled a softball camp for June 15-17. Participants will receive hitting, catching, infield and outfield instruction. The final day of the camp includes a game. Camp for age 11 and under is 2-4 p.m. Camp for ages 12 and over is 4-6 p.m. The $75 camp price includes a ticket to a RiverHawks game and a camp T-shirt. A non-refundable $20 deposit is required and will be applied to the camp fee. Former RiverHawks center fielder Tony Pigott brings his Hard Knox Baseball Camp to Road Ranger Stadium 9 a.m.-noon July 20-23. The former Frontier League All-Star will be joined by current and former RiverHawks. The camp is open to players ages 8-13. The $75 includes a ticket to a RiverHawks game and a camp T-shirt. The George Foster Baseball Clinic is scheduled for July 25-26 and features the 1977 National League Most Valuable Player. Foster, who hit 52 home runs for Cincinnati that season, was at the time just the eighth player in big-league history to hit that many in a single year. Foster also played for San Francisco, the New York Mets and the Chicago White Sox. The camp is split into a 9 a.m.-noon session for players ages 8-12 and a 1-4 p.m. session for players ages 13-17. The $100 fee includes registration for both days, an autographed photo of the participant with Foster and a ticket to the July 25 RiverHawks game. Space is limited for all camps and interested players are urged to sign up promptly. For more information, contact Daleo at (815) 885-BALL. 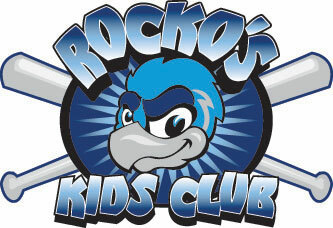 Downloadable registration forms are available at the team website, www.rockfordriverhawks.com.